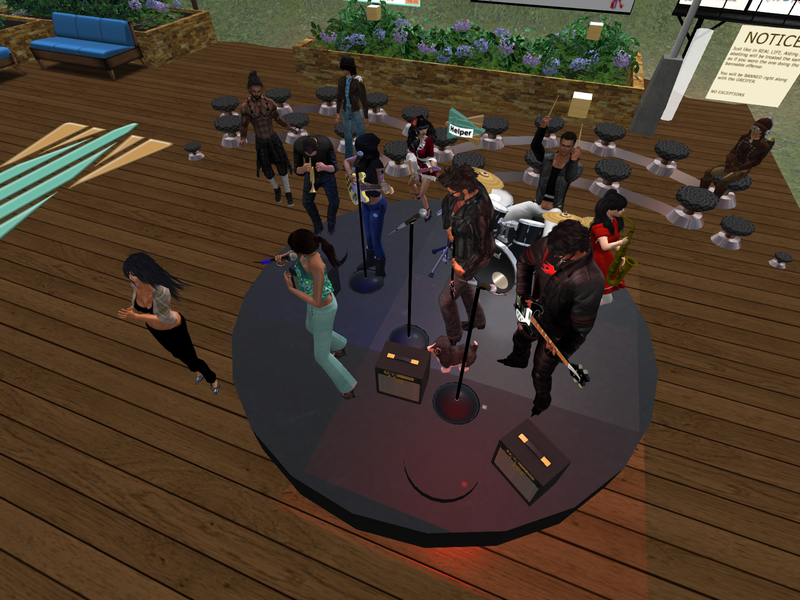 Jamming at Klub Kuula with Lead Vocals Mezzo, Talia & FooFace on Guitar, Andre and Charles on Bass, Em & Trent on the Sax and Trumpet, and last but not least Barrielles on Drums. Rock on Kuula. In the last week or so I’ve noticed that the help desk in Kuula has been empty by the time morning rolls around in SLT. I really was planning on writing a cutting note about the lack of pencils and the fact that my stash of cookies is missing but I happened to be up early this morning and found a disreputable gang had taken over the help desk. I barely survived the sudden fit of giggles that overtook me.